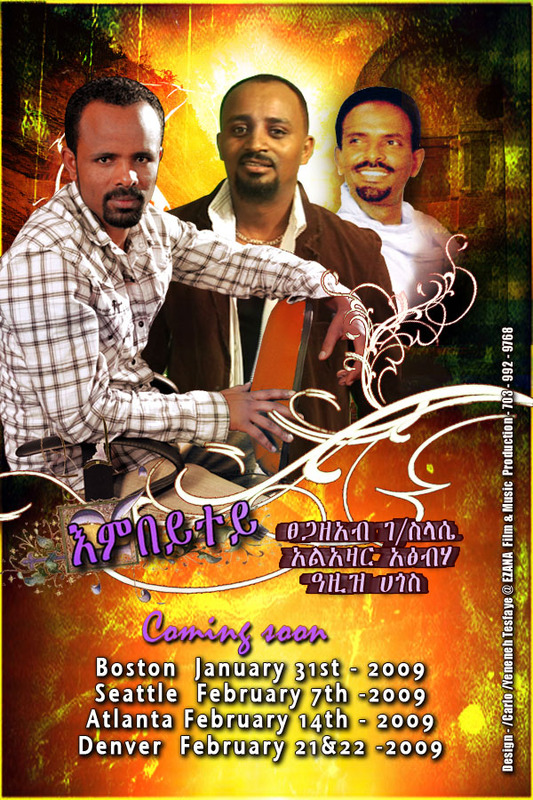 There will be a live interview with Ato Eyob Tekalign Tolina at "Ye Ethiopia Hedase Discussion Forum" in Pal Talk. Ato Eyob is the Head of Economy and Business at the Ethiopian Embassy in Washington DC. The highlight of the interview will be on how we go about buying the Ethiopian Electric Power Authority Millennium Bond. As you may all be aware we in the Diaspora have the privilege of buying a $500 US Bond and we want to start the ball rolling. As we all know Somalia has been a trouble spot almost since it gained its independence. Although there was some resemblance of peace during the Ziad Barre government everyone knows today’s trouble started during Ziad’ government. Now that Ethiopia has completed its withdrawal from Somalia,... Will the new president, president Sharif help improve or exacerbate the situation?... Will Asmara declare its support to Al Shebaba and Aweys to derail the Sharif government? And what do you think Ethiopia has gained with its intervention in Somalia? ... have your say! While cynics and ill informed individuals were undermining local NGO like REST giving them all kind of names the country under the leadership of the EPRDF was quietly implementing a policy a) to recover the over grazed and cultivated land b) to revitalize natural streams and remaining forest. This research result can be easily confirmed looking at the vegetation and greenery of the landscape when troubling from east to west across Tigrai . Thank you to those who persevere to change the tide!! An Old Dog Cannot Teach New Tricks. Should Maslah M. Siad be chosen Prime Minister? Is it half full or half empty? It all depends! UTNA Boston invites you to Lekatit 11 Celebration!! UTNA Atlanta invites you to Lekatit 11 Celebration!! UTNA and TDVA Bay Area invites you to Lekatit 11 Celebration!! UTNA DC invites you to Lekatit 11 Celebration! !